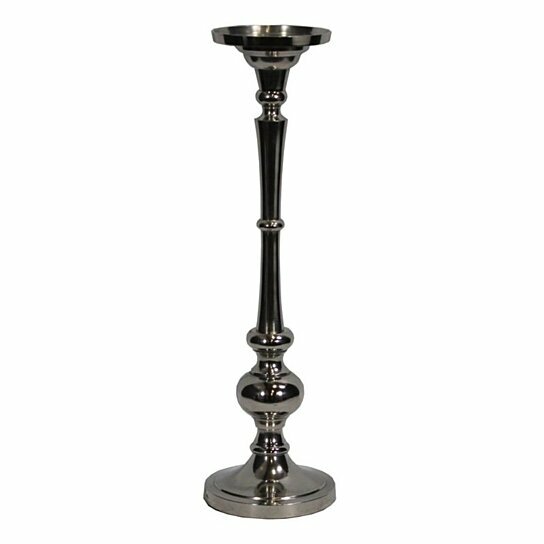 This tall candleholder is perfect to be part of any celebration. It is made from metal and has a steel finish to it. The elegant curves make this candleholder look gorgeous. This tall candleholder can be put to use for decoration. It will look great in the drawing room, bedroom or kitchen interior. Incorporate it during celebrations like Christmas, Halloween or birthday parties. You can place this candleholder on the dinner table while having dinner together with your family. It will look great on the side table, console, sturdy table or mantel.